The New York Times viewed the outcome as “humbling” and a “setback”. 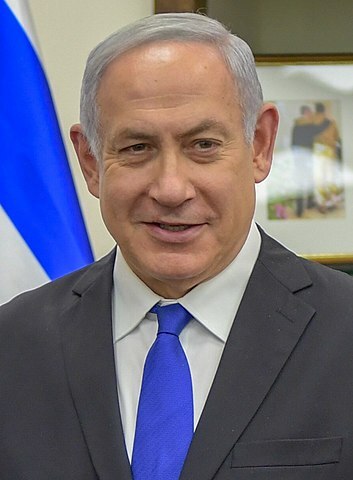 Netanyahu’s Likud Party and The Blue and White Party of Benny Gantz both won 35 seats in the April 9 voting. But Netanyahu will likely be able to cobble together a governing coalition, as the right-wing bloc is projected to have 65 seats (out of 120) versus 55 for the left-wing bloc. “I’m very excited tonight, it’s a night of tremendous victory. I’m telling you – this is a huge achievement, almost inconceivable. Under impossible conditions, the Likud has grown dramatically,” Netanyahu said. “Already tonight I have begun talks with heads of the right-wing parties, our natural partners. Already tonight, almost all of them declared publicly that they will recommend me to form the next government. I intend to finish the job quickly in order to establish a nationalist, stable government,” Netanyahu said. Throughout the evening, exit polls had showed a tight race between Netanyahu’s Likud and Gantz’s Blue and White, yet The New York Times was quick to declare the election a “humbling setback” for Netanyahu.